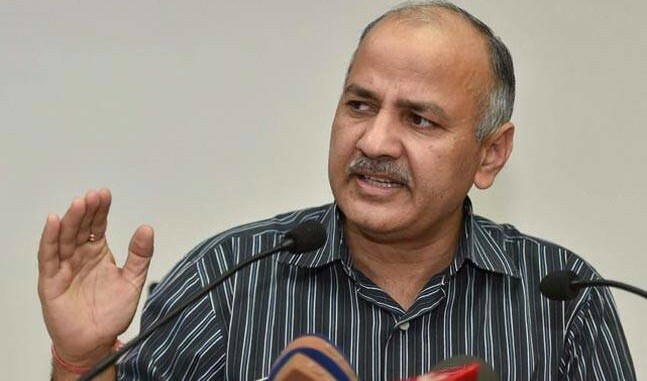 Delhi Budget 2016: Deputy CM Manish Sisodia cut existing VAT from 12.5% to 5% : Presenting Budget for financial year 2016-17, Deputy Chief Minister of Delhi Manish Sisodia, who holds the finance portfolio, on Monday cut the Value Added Tax (VAT) rate from 12.5 percent to 5 percent. Keeping the Rs 46,600 crore annual budget for 2016-17, Delhi government go deeply into the Plan outlay at Rs 20,600 crore. Items such as at present include meals in restaurants, marble tiles and bathroom fittings for homes will be included in this VAT cut. But, sources say, the government is in no The budget provides the Aam Aadmi Party government the opportunity to initiate the process of substantiate the VAT rates that could enhance tax conformity to offset any revenue loss arising from low VAT rates. The change of items in the current six-layered VAT framework will also make for streamlined tax collecting operations.mood to burden the common man and is unlikely to enhance the taxes on most items of daily use. As part of the VAT re-structuring, the government plans to track and bring unregistered dealers and commercial tax evaders into the tax net.It suggested the use of digital data from the official Geospatial Delhi Limited and other government departments to identify dealers and locate their official addresses on maps of markets and commercial areas. However, Delhi’s VAT collections in the current fiscal have crossed Rs 20,000 crore, just a bit short of target of Rs 21,000 crore and much higher than last year’s collection of Rs 18,500 crore. Thus, the mapping can be helpful to reach the unregistered traders. As per the election manifesto, AAP had worked on three-point plan for streamlining the tax system in Delhi. It had promised that by simplifying the system and making the entire taxation and licensing procedures online, it would ensure that the capital city would have the lowest VAT rates in India.